The East Central Railway is running special exam trains for RRB ALP and Technician examination 2018 scheduled to commence from August 9. The special exam trains are operating on Danapur-Secunderabad-Danapur and Patna-Indore-Patna routes to avoid heavy rush of examinees. 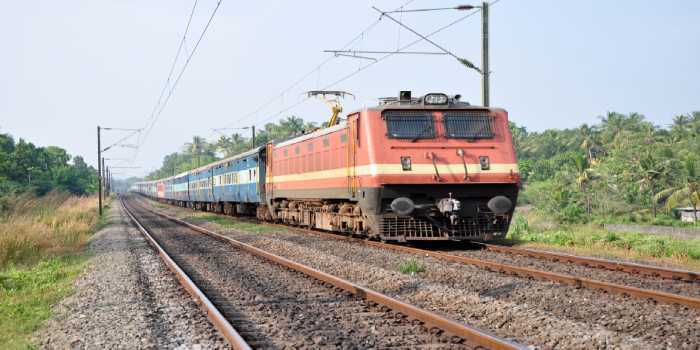 In a statement issued by Indian Railways on August 7, the Danapur-Secunderabad (No 03241) departed Danapur at 11.30 am to arrive at Secunderabad at 9 pm. The Patna-Indore Special Train (No 03253) has left Patna at 5.05 pm on August 7 and reach Indore 4.30 pm the next day. ADMISSIONS 2019-20 OPEN | MHRD A Category | NAAC A Grade | Great Learning Environment |Excellent Career Opportunity. The Danapur-Secunderabad-Danapur will cover Ara, Buxar (BXR), Pt. Deen Dayal Upadhya (DDU), Varanasi (BSB), Sultanpur (SLN), Lucknow Jn. (LKO), Kanpur (CNB), Jhansi (JHS), Bhopal (BPL), and Ujjain (UJN), Indore stations. While, Patna-Indore-Patna Special exam train will cover Dhanapur, Ara, Buxar, Pt. Deen Dayal Upadhya (DDU), Allahabad Cheoki, Satna, Katni, Jabalpur, itarsi, Nagpur, Balharshah, and Secunderabad stations. RRB ALP exam special train will begin its return journey from Indore (No 03254) on August 9 at 8.30 pm covering the same stations. From Secunderabad, the return journey of RRB ALP Special Exam Train (No 03242) will begin on August 9 at 8 pm and will reach Danapur at 7.40 pm next day. RRBs has issued travel pass to candidates belonging to SC/ST categories. Candidates can download their passes by logging with their user id and password. The admit card of RRB ALP has been released for first stage. The admit card is being uploaded four days prior the scheduled date of candidate’s computer based exam. More than 47 lakh candidates have applied for RRB ALP exam. Your brochure has been successfully mailed to your registered email id .